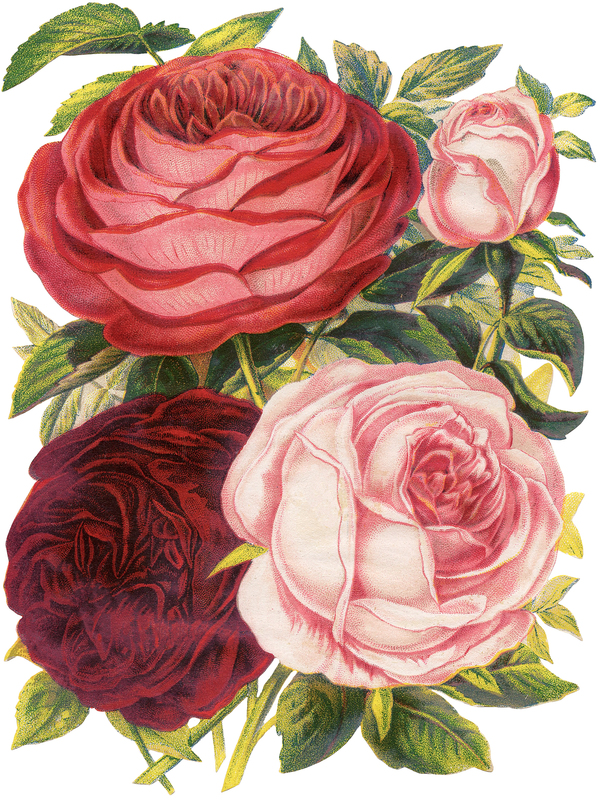 Today I’m sharing this Gorgeous Victorian Large Roses Botanical Image! Three large roses in shades of pinks, burgundy, and coral are the focus of this botanical print. There is also one perfect pink rose bud among beautiful green leaves. 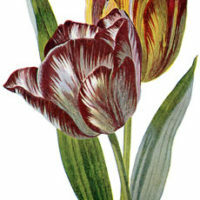 So nice to use in your Floral Craft or Collage Projects! « 10 Best Vintage Herb Images! I love this set of Victorian roses – these are so beautiful!